Papaya has many benefits for our body. Papayas also contain enzymes that similar to alpha hydroxy acid that helps to against wrinkles. 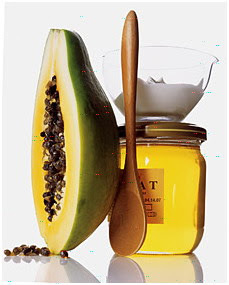 Therefore, you can try to make a natural mask from papaya to reduce wrinkles on the face.